In June, the European Investment Bank granted Wärtsilä a 10-year loan agreement totalling EUR 150 million to finance the company’s research, development and innovation activities in several European countries. With the loan Wärtsilä will continue to develop engines and power plants that are cleaner, more efficient, and more reliable with higher levels of automation, lower lifecycle costs, and improved environmental performance. During the review period, Wärtsilä obtained a certification of emission standard compliance from the United States Environmental Protection Agency for its Wärtsilä 34DF dual-fuel engines. 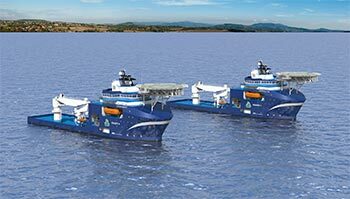 The certification will enable Wärtsilä to enter the American market strongly with marine engine technology that offers operators and owners the option of using either diesel or gas as fuel. A new version of the Wärtsilä 34DF engine was launched in June. The engine offers increased power output and increased efficiency in both liquid and gas operating modes, as well as lower fuel consumption and improved environmental performance. The Wärtsilä X40 two-stroke engine has successfully passed its Type Approval Test. This verifies that the engine fulfils all classification society requirements, and it will be fully introduced to the market following its sea trials, which are currently underway. Progress with regards to type approvals for ballast water management systems continues. The AQUARIUS EC (electro-chlorination) based system was granted final approval status in May 2013. All testing of the AQUARIUS UV (ultraviolet) system has been completed, and type approval was received in December 2012. Wärtsilä currently has the widest portfolio of exhaust gas cleaning systems for the removal of SOx, and the most extensive reference list on the market. The portfolio consists of open-loop, closed-loop and hybrid exhaust gas cleaning systems. Wärtsilä has to date a total of 61 exhaust gas cleaning systems delivered or on order, for a total of 30 vessels.